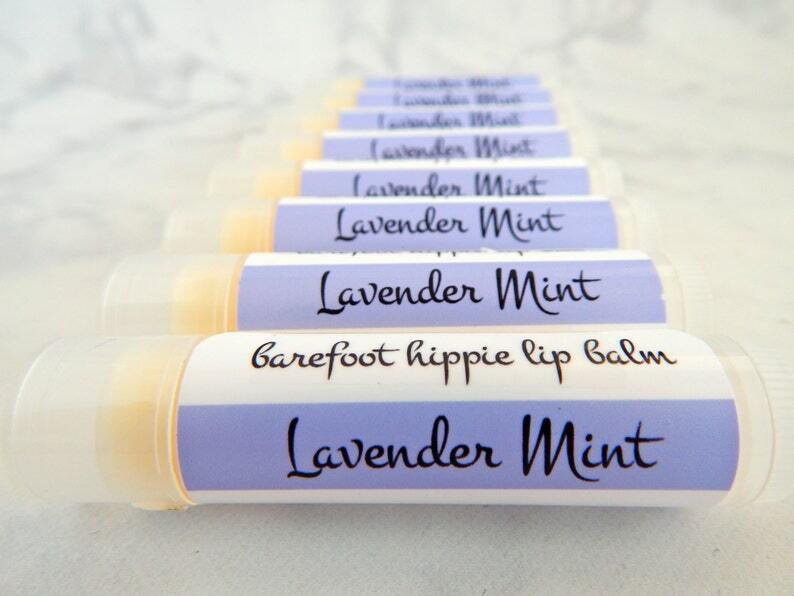 My Lavender Mint lip balm is a refreshing, herbal lip balm flavor. A blend of lavender, peppermint, and spearmint essential oils smells light and fresh. My vegan, natural lip balm glides on smooth and has great staying power. I've taken some of my lip balm to the Austin City Limits festival. It didn’t melt after being out in the hot Texas sun all weekend, so it should hold up well in your pocket too. Enjoy! Lip balms make a perfect bridesmaid or anniversary gift. The gift of soft lips is always appreciated! This listing is for ONE Lavender Mint lip balm (0.15 oz. ).